Evergreen Planning is a method to avoid IT Obsolesence. Evergreen planning for IT involves thinking stategically about the future of your IT resources. Computer equipment reaches the end of its useful life relatively quickly with the pace of technology advancement today. Thorough evergreen planning means that you will have the budget you need at the time you need it to upgrade your systems, replace a server and maintain your staff computers at an efficient and effect level. With the strong relationships we have with the major hardware suppliers we can provide the best in hardware to complement evergreen planning for your company to avoid the problem of IT obsolesence. 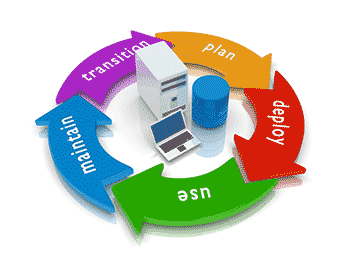 Digital nGenuity can help you plan system, server, switch, and other network infrastructure renewal based on a strategic evergreen plan.